CardMonkey's Paper Jungle: Rumple Ribbon on a Masculine Card -- Really!! Hi Rumple Ribbon friends! It's Ellen CardMonkey back with another card that features one of my very favorite accents: Lovebug Creations' Rumple Ribbon -- this one in "Eyes of Blue". The outside of the card is fairly simple; that elegant blue edge is the Rumple Ribbon. I love how it blends with the Close To My Heart "Later Sk8r" paper. 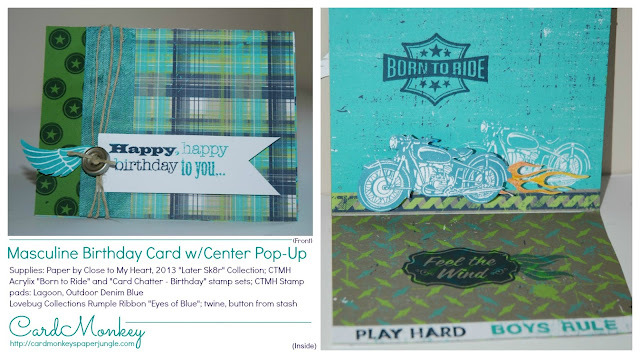 Inside, the motorcycle on the move actually pops up from the card when it's opened. 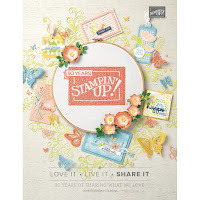 I used Close to My Heart stamp sets: "Born to Ride" and "Card Chatter - Birthday", along with CTMH stamp pads in the ink colors: Lagoon and Outdoor Denim Blue. If you're interested in purchasing any CTMH products, please be in touch with your favorite consultant (and I hope that's me!). 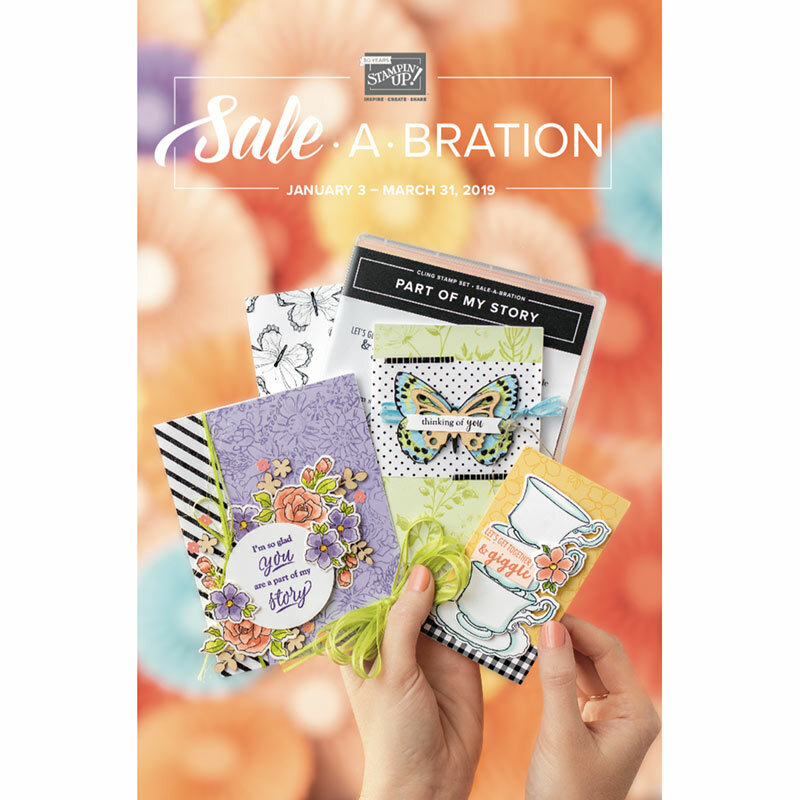 You can check out the latest Idea Book by going to http://cardmonkey.ctmh.com. I love this! I struggle with male oriented cards. Thanks for the inspiration! Gorgeous card Ellen!! You rocked the masculine card too!